Product prices and availability are accurate as of 2019-04-19 14:44:43 EDT and are subject to change. Any price and availability information displayed on http://www.amazon.com/ at the time of purchase will apply to the purchase of this product. 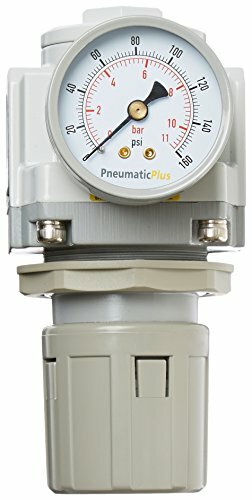 Pneumatic Plus offers quality Air Preparation Units for various pneumatic applications. 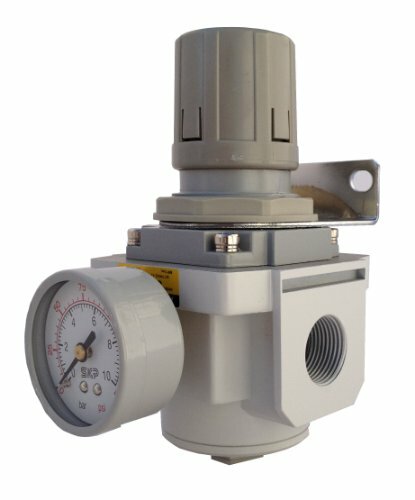 SAR Series Regulators offer stable air flow with locking adjustment knob to prevent accidental setting changes. 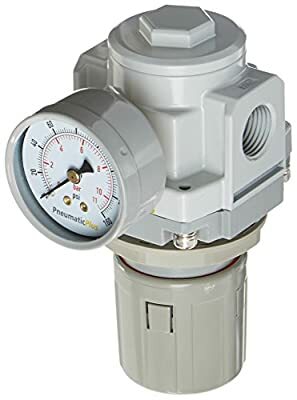 SAR Modular Series Regulators can connect to SAF Modular Series Air Filters & SAL Modular Series Air Lubricators using our brackets to form a fully functional FRL unit. SAF Series Filters and SAL Series Lubricators are available on for purchase along with other Pneumatic Plus Air Preparation Units. Search for "SAF4000M" in Amazon search box and you will find SAF4000M Series Filters with Drain and Bowl options that will fit your need. Search for "SAL4000M" in Amazon search box and you will find SAL4000M Series Lubricators with Bowl option that will fit your need. 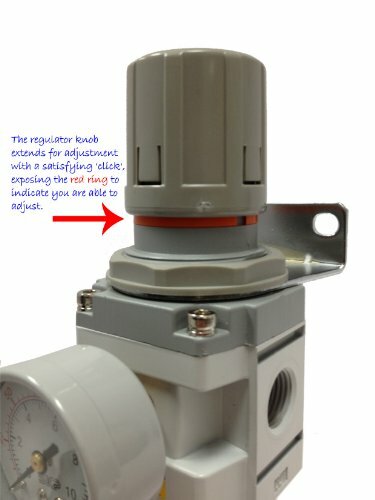 Looking for a space saving piggyback Filter Regulator? Search for "SAW4000M" in Amazon search box for our Filter-Regulator Piggyback units.